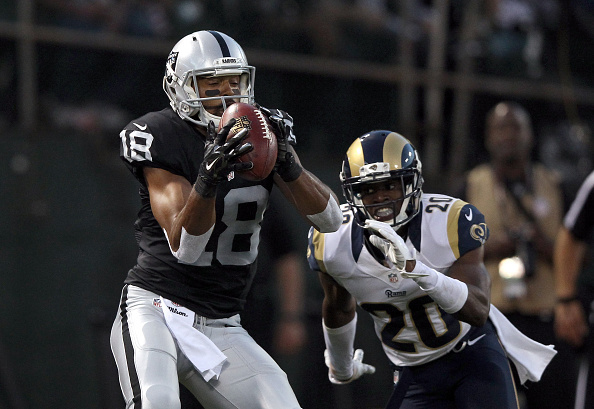 Raiders wide receiver Andre Holmes has a fractured hand, Jimmy Durkin of Bayareanewsgroup reports. This according to a report from Adam Schefter of ESPN. Holmes left midway through Sunday’s practice after he was knocked to the ground following a reception. He didn’t participate in Tuesday’s practice and is not on the field for Wednesday’s session. When asked about Holmes on Tuesday, Del Rio said he didn’t think the fall in Sunday’s practice was related to his absence. Schefter reported that Holmes is expected to be out 3-4 weeks.